Today on Debt Free in 30 I discuss options for dealing with the Canada Revenue Agency when you owe them money with our resident Hoyes, Michalos tax expert, Trustee in Bankruptcy, Ian Martin. Ian is both a licensed Bankruptcy Trustee and Chartered Professional Account, and he also has seven years of experience working at Canada Revenue Agency. As someone who understands both tax law and insolvency law, Ian brings a wealth of knowledge to the conversation and provides in-depth answers to many common tax debt questions. Here are just some of the topics we discuss on this month’s FAQ podcast. Can tax debts be included in bankruptcy? Yes they can. It is a common misconception that tax debts cannot be included in bankruptcy. For individuals, both a bankruptcy and consumer proposal can eliminate tax debt, including not just interest and penalties but the principal tax owing as well. The confusion generally begins when you start taking about different types of tax debts, especially personal debts versus business tax debts. Personal income tax debts are eligible for discharge in a bankruptcy. If you are a small business owner you may owe money for HST payments in addition to tax on your personal income. If you operate as an individual or sole proprietor, Ian explains that your HST debts are considered personal debts that would be dealt with through a personal bankruptcy. If your business is incorporated, the corporation is considered in a legal sense a separate person. That means business income taxes in a corporation are the company’s debts, not yours personally. However there are corporate debts that can cross over into personal debts and those are debts you assume as a director. Ian discusses how and why corporate debts for payroll deductions and HST can become personal debts of the company’s director’s and that these debts can also be eliminated if they file personal bankruptcy or a consumer proposal. Should you go bankrupt if you owe money to Canada Revenue Agency? What kind of resources do [you] have? What kind of income do you have? What kind of reoccurring payments can you make towards it? Do you have some kind of property or assets that you could sell or refinance to come up with money to pay towards the debt obligation? Ian explains that making the decision about what to do about your debts owing to CRA, is complicated by the fact that Canada Revenue Agency has strong collection powers and this means they may not be willing to make a deal with you directly. the tricky part is, the person to whom you owe the money, whether it be Canada Revenue Agency or somebody else, often times, they’re kind of in the power seat in terms of dictating the time frames and the terms of repayment. Will CRA negotiate a settlement? Generally CRA won’t accept payment terms of less than one year. Don’t ignore CRA. They have strong powers of collection and can freeze your bank account and garnish your wages. You can make a fairness application to reduce penalties and interest. You cannot settle the actual taxes owing (principal) without filing bankruptcy or a consumer proposal. As to the last point, Ian explains why lawyers and accountants cannot settle your actual taxes payable. They can be helpful in making a fairness application to deal with penalties and interest, or to dispute an incorrect assessment, but they cannot settle legitimate assessed tax debts. That can only be done through a licensed Bankruptcy Trustee. if you’re up to date with your returns, if you co-operated with them in the past. If there had been a prior insolvency, a prior bankruptcy or a proposal where taxes were one of the large issues, so they want to see have you been a problem in the past basically, but then also, how are you going to be in the future? If you’ve got tax debts we recommend listening to the entire podcast with Ian as he covered these and many other issues in greater detail. You can also read the full transcript below. If you have other general questions how to eliminate tax debts, contact us for a free consultation. Our team can help you find the right solution for you. It’s the end of the month so that means it’s time for another Frequently Asked Show here on Debt Free on 30. And since we’re headed into the peak of tax season, we’re going to spend the entire show answering questions about debt and taxes. Like what can you do if you owe Canada Revenue Agency money for back taxes? What if CRA has already frozen your bank account? Can you go bankrupt and get rid of your taxes? That’s just the tip of the iceberg when it comes to frequently asked questions about taxes. So, for answers to those questions and more, I’m pleased to welcome back to the show our resident debt and taxes expert, Ian Martin. Ian, thanks for being here, how are you doing today? Ian Martin: It’s a beautiful day Doug. Good to see you. Doug Hoyes: Great, thanks Ian. So, you’ve been a guest on the show before, but I don’t think you’ve ever told our listeners about your background. So, can you give us your quick professional history? Ian Martin: Sure, and I guess if I’m being put out there as a tax expert people want to have some confidence that I know what I’m talking about, right? Ian Martin: So, as you know I’ve been working with you for the last six years. I’m a Trustee in Bankruptcy, help people deal with their debts. But I think my other personal background that put me in a good position to talk about this kind of topic. I’m a CA by background. I started out years ago with one of the big firms where you get exposure to a lot of different stuff, accounting and tax. I worked in the industry for a couple of years, where I did some tax compliance work there in a manufacturing company. But here’s the key, I spent almost seven years of my life working for the Canada Revenue Agency. Ian Martin: Seven years, yes, seven years. It was a long time. And we can make fun of the government and what that means. But it actually was very valuable work experience. It gave me a good working knowledge of different aspects of the Income Tax Act and things that they look for in terms of auditing and collection and appeals and stuff like that. That was before I started working with you six years ago. Doug Hoyes: And that’s exactly the reason I wanted to have you on the show today. Like you said you’re a CA and a Trustee in Bankruptcy so you understand that end of it; but having actually worked for many years at Canada Revenue Agency gives you that kind of, that inside look at the way they view things. Ian Martin: I think it gives me a very well rounded view of the world here. Doug Hoyes: A very well rounded view. So, I can tell people what I think their position is, but you were actually there and we’ll get into that as we get into the show. So, with that background let’s start with the most frequently asked question about taxes. We’re not going to bury the lead here, let’s get to the good stuff right off the bat. And I’m sure you get asked this question many times every week and it’s the same question I get asked all the time and that’s this: can you go bankrupt on taxes owing? Ian Martin: In a word, yes. 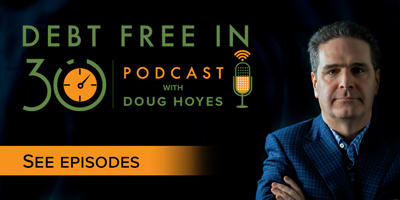 Doug Hoyes: So, there you go, real simple, thanks for listening folks, there’s our show. And this is probably the biggest misconception there is. People figure well you can’t go bankrupt from the government. The government always stays there. Ian Martin: Till death, death and taxes, right? Doug Hoyes: Absolutely, it never goes away. But you’re saying yes you can. Well, let’s break it down. So, personal income taxes, so, let’s say I owe personal income taxes from prior years, your saying that’s included in the bankruptcy. Ian Martin: Absolutely, no doubt. Doug Hoyes: No doubt, easy answer. Don’t even have to couch it. Okay, what about things like if I was self-employed. So, I do work on the side or I’m a self-employed guy working in construction, I’m a roofer, I’m a plumber, maybe I’m a self-employed consultant and I owe money for taxes in that case. Is that included? Ian Martin: Yes. So, usually that individual there’s quite often amounts owing for personal taxes but also HST. If you’re a small business operator as an individual or sole proprietor, again those are ultimately personal debts that would be dealt with through a personal bankruptcy. Doug Hoyes: And so HST you mentioned, that is also included in a bankruptcy. Doug Hoyes: Okay, so personal income taxes, HST is included. Now what if I’m self employed but I do it through a corporation. So, I have my own corporation and the corporation – well, let’s take a couple of different scenarios. The first scenario being the corporation itself owes taxes. How does that work? Ian Martin: Right and I guess I don’t want to sound too much like a textbook but I think that’s the distinction where the corporation in a legal sense is a separate person. So, foremost if your corporation owes debts, it’s that person owes it, not you as the individual owner, automatically. So, if there’s a corporate income tax debt, you are not personally responsible for it but there’s some kinds of company debts, corporate debts that will kind of cross over that line where you do become personally responsible. Doug Hoyes: So, let’s break this down then. So, the corporation owes taxes, then yeah I guess the corporation could go bankrupt if it had to; of course it means the corporation is out of business at that point. And I think in my experience, tell me if I’m wrong, but it’s pretty rare that we see a corporation that owes a lot in income taxes because that would mean the corporation made a lot of money. Ian Martin: That’s exactly what I was going to say. Doug Hoyes: That’s pretty unusual. Now you were hitting on something else though. So, I operate the corporation, I’m the director of the corporation. Ian Martin: That’s the key word there, the director. Ian Martin: So, that’s on the money that the company made. Doug Hoyes: Yeah, the company made a profit, didn’t pay taxes on it. Am I liable for that as a director? Doug Hoyes: Okay, now the corporation has employees. And they obviously take CPP, EI, income tax off your payroll each year. Your payroll deductions every week, if those don’t get remitted to Revenue Canada, am I potentially, as a director, liable for that? Ian Martin: Yes, and that’s the key word there. The director is viewed to have a – what they call a fiduciary responsibility. You have a responsibility to make sure the company is remitting these moneys to the government. And because of that, the director is held personally responsible for the amounts that are not remitted. Doug Hoyes: Okay, so if I’m the director of a corporation, I am taking money from my employees in this example, that I should be handing over to the government. The government is saying that was never your money to begin with. Ian Martin: That’s exactly the point. They’re saying it was not your money. Doug Hoyes: So, you have to pass it on to the government. If you don’t, well, you are personally responsible for it. Ian Martin: Correct, the buck stops at the director. Doug Hoyes: So, it doesn’t matter that you’ve got a corporation, you are still personally responsible for moneys that you have withheld from your employees. What about HST? Ian Martin: It’s really the same consideration you were just talking about with the payroll stuff. It’s by virtue of being the director, that you are looked to being personally responsible because in a similar sense, it’s money that was collected from the customers, the HST component of it, and held effectively in trust for the government, but because it wasn’t remitted, but it should have, it was never the company’s money. And that’s also why the director would be held personally responsible. Doug Hoyes: So, there’s the key to it. Any money that went into my hands that was really not mine to begin with, the money I took off for my employees that I should have sent into the government, the money I collected from my customers on HST, that I should have sent into the government, even if I’ve got a corporation, I am personally responsible as the director for those amounts. Doug Hoyes: Pretty much that simple. Okay, so let’s take this a step further then. So, someone’s listening to us today and they either owe taxes personally because they – I mean a common scenario would be you cash in your RSP when you’re out of work, you end up having to pay tax on that, they only withhold 10 percent at the bank but then at the end of the year when you come to file your taxes now you owe 30 percent or 40 percent. Ian Martin: Yeah, the real tax rate is 30 percent so you owe more taxes. Doug Hoyes: You owe more. So, that would be an example of taxes that would be included in a bankruptcy, or if I operated a company and I had these director’s obligations. So, how do you decide, you’re the tax expert here, you’re the insolvency expert, how do you decide whether or not the debts I have are big enough that I should go bankrupt? We know that yes taxes are able to be included, but how do you decide if my tax debts are big enough that I really should be considering a bankruptcy? Ian Martin: That’s kind of a – I feel like my answer’s going to be a bit soft on that one, Doug. And in a sense I feel like it’s the same kind of consideration generally with regardless of the nature of the debt. Because ultimately, when people have debt obligations, what we’re trying to look at when doing an assessment, what kind of resources do they have? What kind of income do you have? What kind of reoccurring payments can you make towards it? Do you have some kind of property or assets that you could sell or refinance to come up with money to pay towards the debt obligation? Doug Hoyes: So, that’s kind of the first step then is, how can you pay this back on your own? What resources do you have? Ian Martin: Right, that’s a good way of saying it. Effectively, am I in a position on my own to work out a payment plan. And the tricky part is, the person to whom you owe the money, whether it be Canada Revenue Agency or somebody else, often times they’re kind of in the power seat in terms of dictating the time frames and the terms of repayment. Doug Hoyes: So, in your experience, what kind of payment plan is Canada Revenue Agency likely to accept? Obviously if I can give them all the money tomorrow, they will accept that. Ian Martin: That’s a great option, but typically not realistic. Doug Hoyes: Yeah and if I’ve got property to sell or something then maybe I can do that. If I need 20 years to pay them back, they’re unlikely to accept that. In fact that’s pretty much an obvious no. Ian Martin: Right, I mean obviously you’re exaggerating there a little bit to make the point. 20 years, whether it’s Revenue Canada or somebody else, typically people don’t go in for a 20 year payment plan. Doug Hoyes: But if it’s something like six months to a year. Ian Martin: Yeah, I was going to say that. From my experience what you see with the collectors, what they’re looking for is a payment plan usually less than a year, usually I see examples of six months, nine months maybe 12 months. I’ve seen extraordinary examples maybe as long as 18 months. But even with the government trying to propose some kind of multiyear plan, it’s extraordinary unlikely. Doug Hoyes: So, the answer to the question then is, if you can take care of the tax debts on your own over let’s say a maximum of a year, you probably don’t need to go bankrupt, that’s a better option for you. But if it’s going to take a lot longer than that, then perhaps bankruptcy is something that you’ve got to consider. Ian Martin: And when I meet with somebody that’s exactly what I try and point out. Is it maybe not as quite as bad as you thought and before we talk too much detail about something like bankruptcy, because that’s the last resort as you know, maybe it’s worth another chat with your CRA collector to see if there is the possibility of a voluntary payment plan. Doug Hoyes: Well, and so I would like to get into this whole notion about what are the different options for dealing with tax debt. We’ve kind of touched on a couple. We’re going to take a quick break and come back so that we can deal with that in a bit of depth, we’re talking about taxes here on Debt Free in 30. My guest today is, Ian Martin. We’ll be right back. Doug Hoyes: We’re back and my guest today is Ian Martin. We’re talking about taxes. And before the break we were talking about the different options that you can use when you’ve got a bunch of tax debt. So, why don’t we start with that? I know I got a bunch of taxes owing. Where do I start? What are some things that I should – I don’t want to go bankrupt. Don’t talk to me about that. Talk to me about everything other than that. Where would you start? Ian Martin: Well, I think we kind of got started on this conversation before the break, Doug and the first step is talking to your CRA collector and you need to be working with them to make sure – if they can’t get a hold of you, that leaves them with this great uncertainty where they then have powers to do things like freeze bank accounts and garnishee wages. So, number one, don’t ignore them. Doug Hoyes: And they can freeze bank accounts, start garnishing your wages. They don’t have to go to court or anything, they can just do it. Doug Hoyes: Okay so CRA is not someone you should just ignore. Ian Martin: Correct. So, that’s point number one. But then the idea in starting the conversation with the collector is looking at the amounts and they’ll send you a questionnaire looking for some different income on a monthly basis, your different living expenses and then from there it’s trying to work out the details to say is there a payment plan that is feasible for you that is going to fit within the time frames and the amounts that they’re willing to work with? So, this is just the general idea of, can we work it out? Can we work it out on a co-operative basis where they withhold from taking more aggressive collection activity against you? Doug Hoyes: So, you should talk to them. Doug Hoyes: If you ignore them then they’re going to go right to the let’s get your attention step, which is freeze your bank account, garnishee your wages. Ian Martin: It’s very effective in getting people’s attention. Doug Hoyes: Absolutely. So, at least if you’re talking to them, there’s a chance that something can be worked out. Ian Martin: And even when you’re having that kind of conversation, even if you haven’t hammered out the precise numbers yet, if you’re hopeful that that’s going to be the case and hopeful that it won’t come to bankruptcy, even if it’s a small amount like a little bit of good faith money on a monthly basis, can help in terms of having some co-operation with them as well. Doug Hoyes: So, try to work it out directly with them. Ian Martin: Signs of good faith. Doug Hoyes: It’s common sense, try and work something out. Well, let’s say that it’s either not possible or the debt is too high, what would the next step be? What are some other options? Ian Martin: There’s an internal process at the Canada Revenue Agency that’s referred to as, fairness. So, the idea here is not to reduce the amount of tax that was owed. There’s a separate process where if you’re contesting the amount of tax that was assessed, there’s a whole appeals process to go through there. So, we’re assuming the amounts have been confirmed, you’re not disputing that, but the very punitive penalties in interest are really crushing. So, you make an application under what’s called fairness, and they take it on a case by case basis, honestly from my experience don’t move very quickly; we’re talking about many months or a year or more where they’ll review your application and look to see if there are factors pretty much beyond your control where they might give you a bit of a break in terms of the interest and penalties that were levied. But it’s not reasonable to have an expectation that they will reduce the amount of tax that was assessed. Ian Martin: And that’s a misunderstanding for a lot of people. Doug Hoyes: Yeah and that’s a very key point there. CRA does not have the power to reduce the taxes owing, the principle, like it’s pretty much that simple, unless you go through a formal process like a bankruptcy or a proposal. They do have the power in isolated circumstances to reduce the penalties and interest but that’s a pretty tough argument to make and you’re going to have to have a pretty compelling reason. Ian Martin: So, for example being the small business owner that fell behind on his taxes and his HST for example, that would not be viewed as a compelling argument. It would be that, there is some kind of an extraordinary factor family wise or beyond your control that lead to you falling behind on things. So, there’s a somewhat sympathetic view of things but it has to be pretty extraordinary to get a positive result for that. Doug Hoyes: Yeah, so if I had a very serious medical issue and I was in the hospital for six months, okay that might be a compelling reason why you’re not able to get things filed on time. They may give you a break in that case. But it’s not going to deal with the principle. Ian Martin: Correct. And I like the way you said that, because it’s timing. If you have your returns filed but there’s extra penalties and interest because they were filed late, if there is a plausible explanation why that was the case, then you could see some co-operation that way. Doug Hoyes: But then again, we’re only talking with fairness about principle on interest. So, what’s the other option then when I owe a lot of money both on principle and penalties and interest? I don’t want to go bankrupt, what’s my final step? Ian Martin: I guess in general when I talk to people about taxes and Canada Revenue, it falls into two broad categories. You can work it out with them as we’ve been talking about or you can’t. And if you can’t then they have the power to take things from you against your will where then it’s a pretty good sign that you need the kind of protection that a trustee can bring. And if it’s – if you’re looking for an option other than bankruptcy then that would be making a formal proposal to the creditors like a consumer proposal that I could administer for you. Doug Hoyes: Got you. So, that’s your final option. And I know I hear on the radio all these ads from guys that say we can work with Revenue Canada, we can make deals, those lawyers that advertise that kind of service and obviously a lawyer can negotiate, but a lawyer doesn’t have the legal power to do a consumer proposal or a bankruptcy, which are the only legal means that Revenue Canada, Canada Revenue Agency, will reduce the principle owing. That’s what you’re saying. Ian Martin: Right and when I hear the examples of lawyers trying to negotiate settlements of taxes, I get concerned about that quite honestly because I feel that sometimes there’s an unrealistic expectation that is created in the marketing for some of those companies. Usually it’s more about, what we were referring to a minute ago about getting some concessions on penalties and interest, but it’s very, very extraordinary that there would be a concession on the amount of tax that was actually levied. Doug Hoyes: Yeah and so if you want to make an application to the fairness committee and you want to have someone help you prepare it, sure a tax lawyer would be perfectly good to do that, maybe even better than an accountant to do that, but to expect principle to go away is just not realistic. Okay, so that’s the options, now you mentioned that CRA has extraordinary powers, one of the powers being they can freeze your bank account and we see this all the time. You haven’t been making payments, you haven’t been talking to them, that’s primarily the reason they do it. So, they just notify your bank, boom your bank account is frozen. So, what can you do in that case? Ian Martin: Well, I guess there is always the remote chance – well as you said, this is a tactic to get your attention. So, if it’s not too bad, if it’s not too big a number, and that then prompts the conversation with the CRA to work something out, then they do have the power to voluntarily hold that freeze, to withdraw that so that you can continue using that bank account on a reasonable way. And it just kind of facilitated my conversation to work it out. Doug Hoyes: So, the first step if your bank account has been frozen by CRA is get on the phone, talk to them and say okay you got my attention. Can you unfreeze my account so I can start setting up some kind of payment system with you? Whether they’ll let you do it or not, that’s up to them. Ian Martin: And I think this is probably point out the obvious that in the meantime if the account is frozen, I don’t need to be an accountant or a trustee to know this, most times people once they’re aware that if they do have some money coming in, they’re going to make sure they don’t deposit it into that same bank account so that would also be frozen. I think that’s kind of common sense observation, but I thought I’d put it out there. Doug Hoyes: You’re going to put it somewhere else if at all possible. Ian Martin: Yeah, that’s where it’s taken us back to, where you’re coming to the conclusion that I can’t work it out with them, what can I do? This then takes you back to the legal options of a bankruptcy or a consumer proposal, where one of the basic concepts with those things is that it gives you legal protection so that the people you owe money to no longer have recourse against you. That sounds kind of technical; they can’t take anything from you anymore. So, that freeze, then upon filing a proposal or bankruptcy, the trustee is able to lift that freeze so that the CRA can’t take things from you anymore. 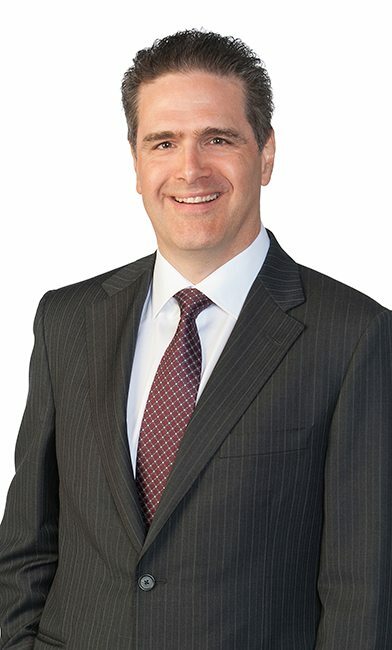 Doug Hoyes: So, the trustee, once you file a legal process either a proposal or a bankruptcy, has the power to notify the bank and CRA to lift the freeze and then it gets lifted. And you’re right practically speaking. By that point you’ve probably opened a new bank account somewhere else but that’s the practical answer to how to get a freeze lifted. Okay, we’ve talked a bit about bankruptcy; let’s talk a little bit about the actual bankruptcy process. So, let’s assume it’s the middle of the year, I owe a lot of taxes and I decide to go bankrupt, so I come in and talk to you. With respect to taxes, what are the things you’re going to be asking me about, what are the things you’re looking at? Ian Martin: Usually my first question is if you’re up to date with filing the returns. And there’s a couple of reasons for that. Number one, assuming that bankruptcy is the right answer, is going to be a condition of getting your bankruptcy done that the returns are filed up to date, regardless of what the number is, regardless of what the overall amount is, both your trustee and the government are going to want to know that you’re filed up to date and that way they know basically what the debt was and if there’s any kind of money to be paid out of the bankruptcy that will dictate how that gets paid out. So, there’s that part. But I think there’s another part as well. It happens from time to time that the government will send these notices or the freeze or the wage garnishee to get your attention. And then that will prompt somebody to call us up and sit down and say their gut instinct is I got to file bankruptcy to stop the freeze and make this stuff go away. But maybe it’s somebody that hasn’t done their returns for the last three, four or five years. Something that a lot of people don’t know is that the government has the power by law under the income tax act to basically, say make up – it doesn’t sound very fair, but basically they have the power to do the assessment based on some kind of estimate from information that they have. And until you actually file your actual return and prove that number is wrong, that is the legal assessment against you that allows them to freeze bank accounts or seize wages. Doug Hoyes: So, if you owe a bunch of money because you didn’t file taxes, get your taxes filed and it may be that you don’t owe as much as the government thinks. Ian Martin: That’s exactly what I was going to say. So, I met with a gentlemen just before, just a couple of months ago, and he had a notice that his bank gave him that said something like 25, 30 thousand dollars on his taxes but it turned out once he got his returns filed it was only a couple of a thousand dollars. So, he didn’t need to file bankruptcy, he was able to work out a payment plan just by getting the returns up to date and seeing what the real number was. Doug Hoyes: That’s why when you come in to see us we’re going to make sure we got the numbers right. Well, that’s a great place to end it. You may not need to go bankrupt because maybe you don’t owe as much as you think you needed. Thanks for being with me today, Ian. We’re going to take a quick break and we’ll come back to wrap it up right here on Debt Free in 30. Welcome back, it’s time for the 30 second recap of what we discussed today. On today’s show, Ian Martin answered the most frequently asked questions about debt and taxes. He explained that income tax problems can be solved and even if CRA has frozen your bank account a bankruptcy or consumer proposal can eliminate tax debt. That’s the 30 second recap of what we discussed today. Ian’s message today was easy to understand. 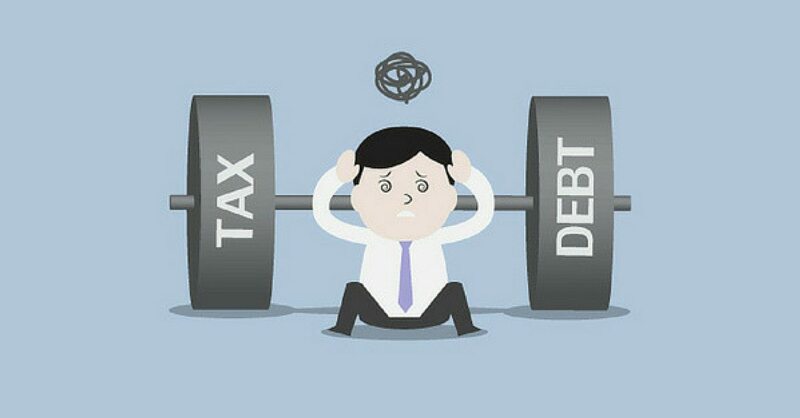 It is possible to deal with tax debt, but you have to pro-active so consult with an expert to understand your options. That’s our show for today. For more details on how you can use a consumer proposal or personal bankruptcy to eliminate tax debt go to our website at hoyes.com, that’s h-o-y-e-s.com, for more information. Thanks for listening, until next week, I’m Doug Hoyes. That was Debt Free in 30. It’s time for the Let’s Get Started segment here on Debt Free in 30. Today we’re talking about taxes and my guest is Ian Martin who worked for CRA for a number of years. He’s now a Bankruptcy Trustee and Consumer Proposal Administrator. We talked earlier about consumer proposals. That is an option for dealing with taxes. So Ian, you said earlier, and correct me if I’m wrong, if you file a consumer proposal, taxes are included. If you owe taxes from prior years those are included, right? Ian Martin: That is correct. No misunderstanding. Doug Hoyes: And so specifically taxes are included automatically up to the end of the previous year. Is that correct? Ian Martin: Correct, the prior calendar year ended before the year in which you’d be filing a proposal. Doug Hoyes: So, let’s say it’s March, April, May of the year. Ian Martin: Yeah, let’s give an example. Doug Hoyes: If I went bankrupt today, my taxes are included right up to the date of bankruptcy because you as the trustee are going to do a separate tax return right to the date of bankruptcy. Ian Martin: Yeah there’s a little bit different special rules that apply in a bankruptcy where there’s a separate return that goes right up to the date of bankruptcy where that would all be included. Doug Hoyes: Whereas in a consumer proposal, you’re only including the taxes automatically up to the end of the prior years. There’s some more complicated rules you’re not going to get into with respect to that. So, if you owe a bunch of taxes, the best time to do a consumer proposal then is earlier in the year rather than later. Ian Martin: Yes, I guess that would be the common sense answer. You wouldn’t file – with your example there, you wouldn’t file in December of 2014 expecting to have a large tax burden for 2014.You would wait a week or two and file in 2015. Doug Hoyes: And then obviously it’s been included. Ian Martin: Yeah, no hoops to jump through. Doug Hoyes: Got you. Okay, so in a consumer proposal every creditor gets to vote on it. Doug Hoyes: And again I’m over simplifying the process, but in simple terms each creditor gets a vote for every dollar they’re owed. If more than half of them say yes then the proposal is accepted. And again I’m over simplifying, but that’s the gist of it. So, if CRA is your biggest creditor, if you owe more than half of the dollars to them, they’re the guys who get to say yes or no. Ian Martin: It’s the only vote that matters. Doug Hoyes: That’s the only vote that matters. So, in your experience what are the chances that CRA is actually going to accept a proposal? Have you had them accept proposals from you? Ian Martin: Yes, I have. It’s gone the other way as well but, yeah. I don’t want to have people think it’s an impossibility. Doug Hoyes: So, it is possible. You worked at CRA for many years. You’re now on the other side of the desk. You’ve had many creditor’s meetings with them. What are they looking for? What’s going to make them say yes to it? Ian Martin: The way I see it is that CRA, Canada Revenue, they take it more on a case by case basis compared to some of the big banks when they receive proposals. So, what they’re looking for if they’re sitting down with you and asking questions is a lot about your past, quite honestly, if you’re up to date with your returns, if you co-operated with them in the past. If there had been a prior insolvency, a prior bankruptcy or a proposal where taxes were one of the large issues, so they want to see have you been a problem in the past basically, but then also how are you going to be in the future? Doug Hoyes: So, they’re actually looking at your character here. Ian Martin: Yeah, that’s a good way of putting it. Doug Hoyes: And I agree with you. A big bank is looking at it going, hey you know what, if a proposal gets us more money than a bankruptcy we’re going to take it, whereas CRA has a different view; we are here to guard the tax payer’s money. So, your character then becomes an issue. Ian Martin: There’s definitely different considerations and definitely a higher level of scrutiny that the government exercises in saying yes to it, because you’ve indicated it, basically a proposal is an offer to settle the debts for less than the full amount. The banks usually if you – they’re more formulaic in terms of what they look at. Doug Hoyes: It’s a math question for them. Ian Martin: Correct, whereas Revenue Canada is more, there is some softer considerations that will also weigh on whether to say yes or no. Doug Hoyes: So, if you’re filing a proposal and you haven’t done your taxes for the past three years, it’s going to be a no. Ian Martin: That’s going to be pretty difficult. Before they’re even willing to be able to say yes or no, they’re going to want to see what the returns are, what is the dollar amount, because they want to know what it is they’re considering. Doug Hoyes: Because unlike a bank the credit card company can look at your statement and see how much you owe. CRA can’t do that because you haven’t filed your taxes yet. So, at a bare minimum your taxes have to be filed and up-to-date. And your chances of success are increased if you have made a significant effort in the past too. You’ve been trying to make monthly payments, you’ve been filing your taxes on time. If you’re way behind on taxes and you haven’t given them any money in five years, your chances of success are significantly less. Ian Martin: I agree. And I think kind of the common sense explanation of that is that why would they say yes if they’re looking at your situation and think that agreeing to some kind of compromise through the proposal is basically going to be a waste of their time. Doug Hoyes: Yeah and really they are the honest, but unfortunate debtor kind of guy. If you can convince them you are honest, but unfortunate, you got a much greater chance of success. They obviously also look at the math as well. And they want to be receiving more in a proposal than they would get in a bankruptcy. Ian Martin: Right and that would be for anybody, whether it’s the government or a bank. What I find is that there is, as I said, a higher level of scrutiny and sometimes the government will seem to push for a higher rate of return. But I don’t think it’s formulaic, I think it ties back to some of these other considerations. But really they want to know where the money’s going to come from as well. They want to know of a self-employed guy, how is business going to be so much better than it was in the past? Doug Hoyes: And so if you can prove to them that not only there is a legitimate reason for the past but you can stay up to date in the future, then you’ve got a good chance of success with them. Doug Hoyes: Great. Thanks very much, Ian. That was some good tips on taxes and debt. You are listening to Let’s Get Started here on Debt Free in 30. Tax Debt Help – Who Do You Call?